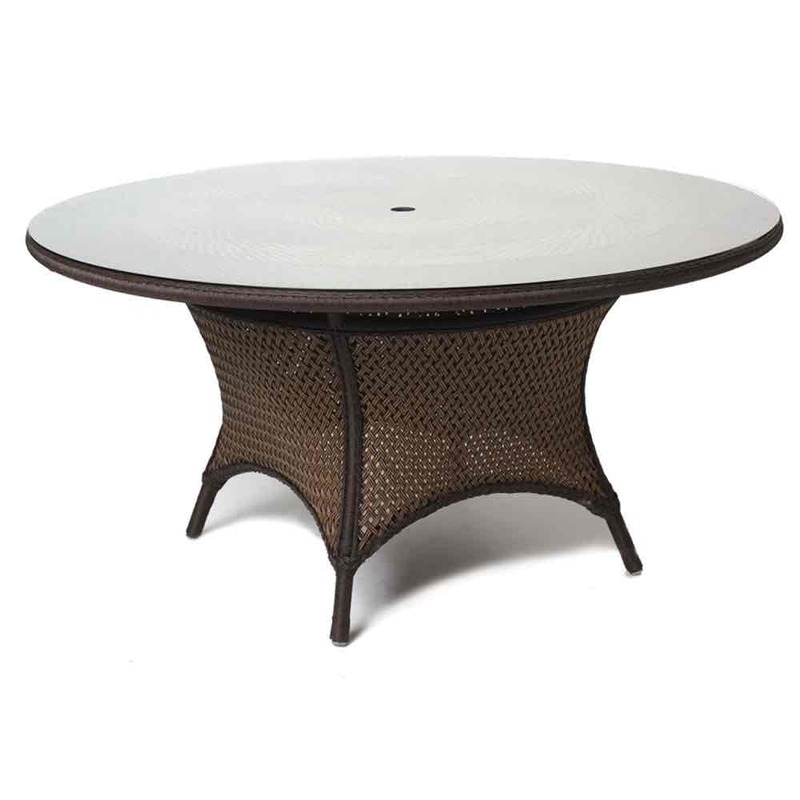 Grand Traverse 60" round umbrella wicker dining table with lay-on glass top is a classic vintage dining table with open weave wicker design. 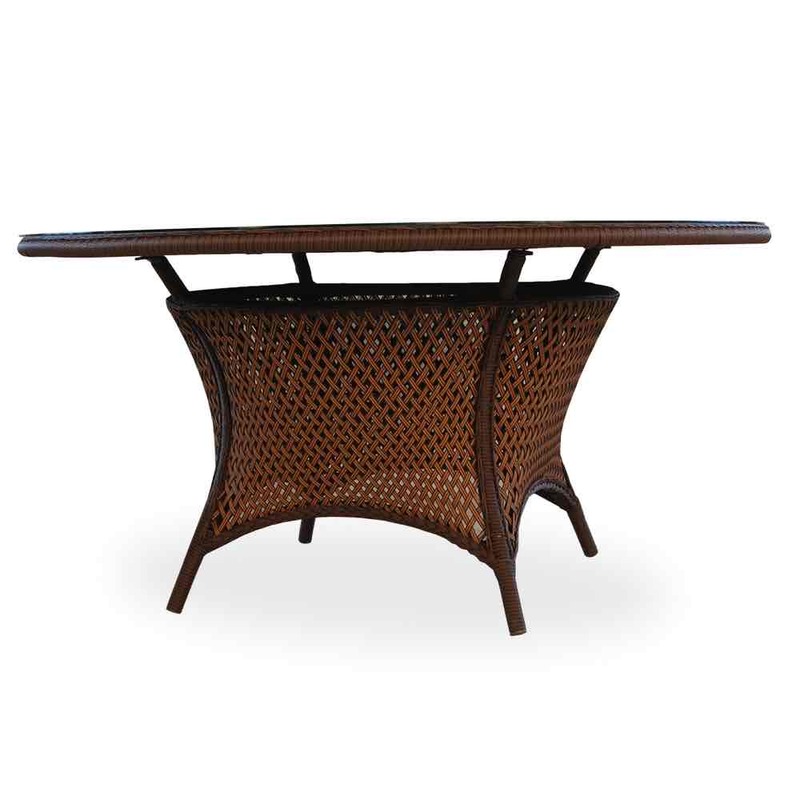 Wicker finish made of High Density Polyethylene (HDPE) vinyl resin for the best outdoor protection. Inviting appeal for your patio decor and perfect for relaxing and socializing. 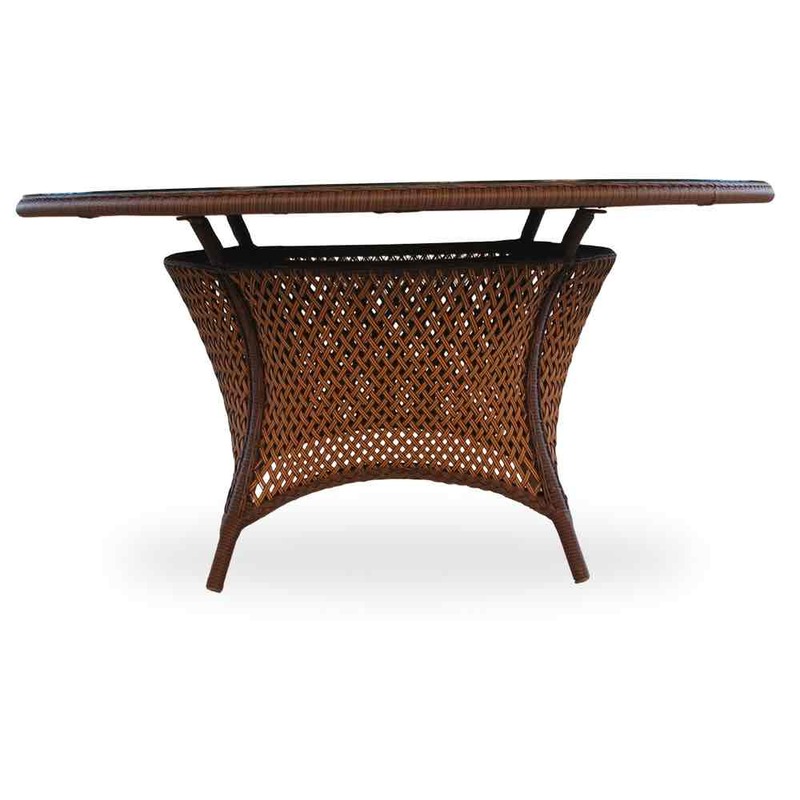 Use with other Grand Traverse furniture pieces to select and design your own unique furniture arrangement. This Lloyd Flanders collection is available in two color finishes. Choose the blue view button from the options menu to view the image of the available finishes. Choose the finish you like from the drop down finish menu.